There’s yet another 2% cash back credit card on the market, the latest being the “PayPal Cashback MasterCard” offered by PayPal and card issuer Synchrony Bank. This aligns it with the likes of Citi Double Cash and the Fidelity Visa, both of which earn two points per dollar spent on everything all year long. The difference between the new PayPal Cashback MasterCard and those other cards is the fact that you get your cash back right away. There is no minimum amount you need to earn to redeem your cash back rewards, such as $25 or some other amount you may never hit. I’m still trying to reach $25 on one of my other credit cards that I rarely use – I’m around $24 and change, so I’m close. But it’s super annoying not to be able to just cash in the points immediately. Anyway, this card lets you move the cash rewards into your PayPal account right away, at which point you can move them on to a linked bank account. Like the other 2% cash back cards, you don’t have to worry about rotating categories, like those on Discover it and Chase Freedom, and you don’t have to keep track of bonus spending. Everything you purchase with the card earns 2% cash back. Period. Another perk to this new card is the fact that it doesn’t charge an annual fee. That’s in-line with Citi Double Cash and Fidelity Visa. 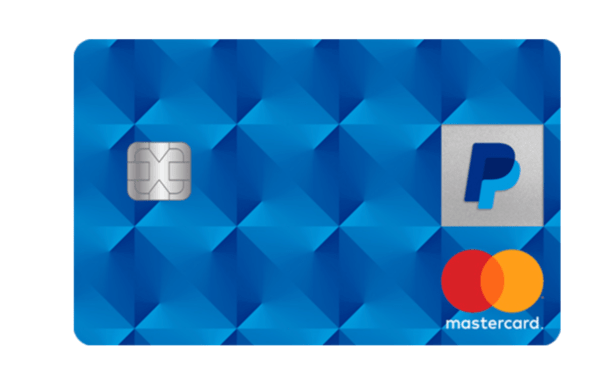 But again, the redemption appears to be much easier with this new card from PayPal. I suppose the caveat is that you need to have a PayPal account, which many people do. If you don’t have one, you’ll need to open one when you apply for this card. I perused the rewards terms and conditions and found that “bonus rewards” may be offered from time to time. In other words, you might be able to earn at an even higher rate than 2% if they throw a special offer your way. What Else Does PayPal Cashback MasterCard Offer? Well, for starters you get extended warranty, which doubles the original manufacturer’s or store-brand warranty for up to one year. Of course, the PayPal Debit MasterCard offers the same thing. But this card goes a step further in offering price protection, which gives you 60 days to find a lower price for an item you buy with the card. You also get purchase assurance, which is coverage for an item damaged or stolen within 90 days of purchase. Additionally, the card provides a so-called “satisfaction guarantee” that refunds you up to $250 if you become dissatisfied with an item within 60 days and the merchant won’t refund it. At least, those are the common benefits offered via the MasterCard Guide to Benefits, which was found on the application page. I noticed that airport lounge access was listed as a benefit too, but the benefits page is just an “overview” of the most common benefits. So I’m guessing free Priority Pass membership isn’t included. If it is, this card is an absolute game changer. In summary, this new card is a good option for someone carrying a lesser all-purpose cash-back card who wants no-hassle rewards and doesn’t want to pay an annual fee. It seems to be a new foray for PayPal into credit cards as opposed to debit, which seems to bring them full circle. Previous Previous post: Should I Keep the Chase Sapphire Reserve Past Year One?